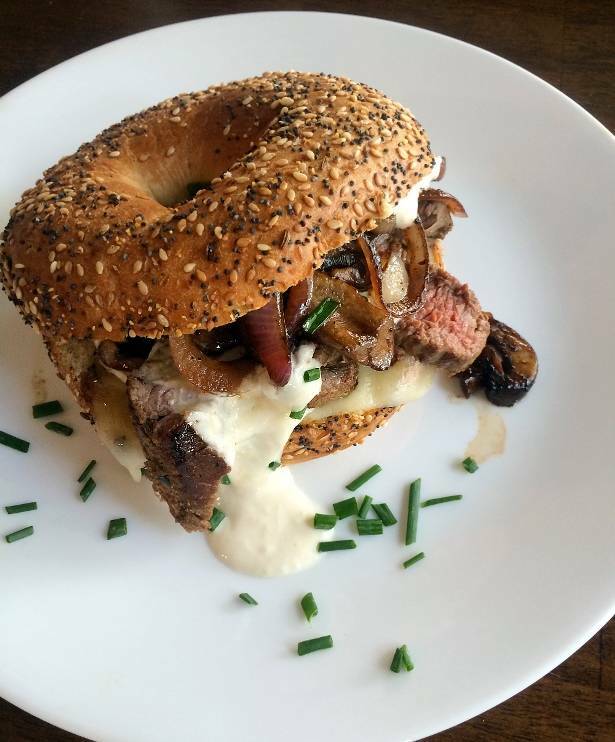 This toasted bagel melt consist of seared antelope sirloin, sautéed red onion and mushrooms in browned butter with melted Havarti cheese and horseradish mayo. You can substitute antelope for elk or venison sirloin. In a large cast iron skillet, sear antelope sirloin in 1 tablespoon butter and minced garlic. Brown sirloin on all sides and set aside. Add remaining butter to cast iron skillet and sauté red onion and mushrooms. Slice bagels in half and top with a slice of Havarti cheese. Broil in oven until cheese melts. 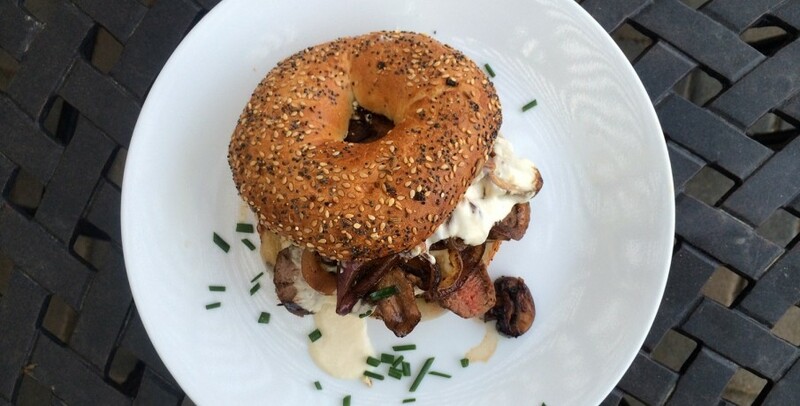 Slice sirloin into medallions, place on bagel half, top with mushrooms, onions and horseradish mayo.